I learned this recipe in my cooking class at the Natural Gourmet Institute. Serve on a mezze platter with Hummus and Israeli Cauliflower. You will probably have left over mint so make Candle 79’s Coconut-Mint Frappe! 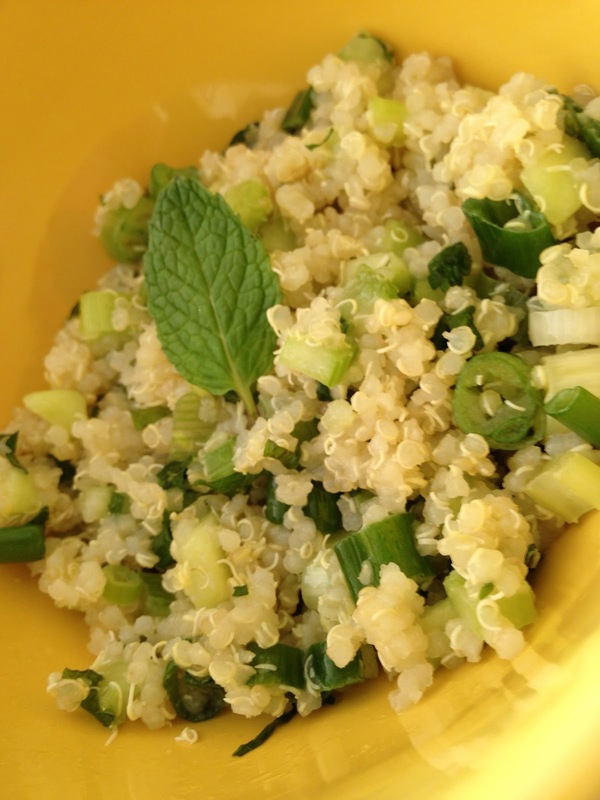 In a mixing bowl, toss warm quinoa with lemon juice, olive oil, and salt and let sit until it reaches room temperature. Dice the cucumbers and celery, slice the scallions, and chop the parsley and mint. Combine quinoa with the rest of the ingredients. Adjust seasonings. Enjoy!